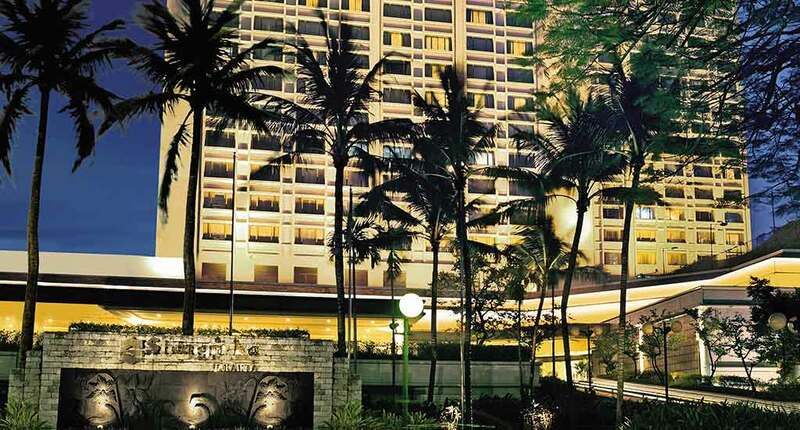 Being located in the heart of Jakarta’s business center, the Shangri-La Jakarta Hotel represents an important accommodation structure for the business environment. 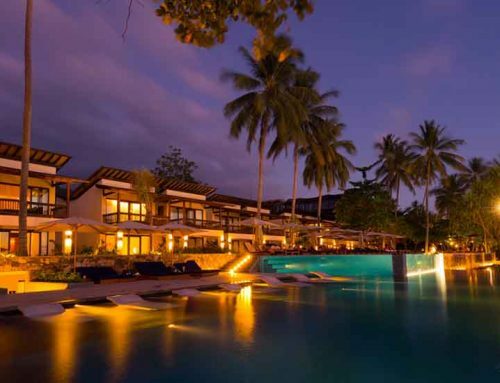 The five-star hotel combines the traditional Indonesian style with the contemporary Javanese one. In less words, the hotel is a mix of business facilities and leisure services. Make time to explore the surroundings. Just 20 minutes away by walk, you will find the Selamat Datanh Monument. In English this means “Welcome” and was established in 1962 by a local sculptor. Today, the attraction is being one of the historical icons of Jakarta. To escape the crowded places, we recommend you to discover the Taman Suropati. It’s a public park, equipped with benches, playgrounds for children, historical monuments, artesian fountains and a rich flora. 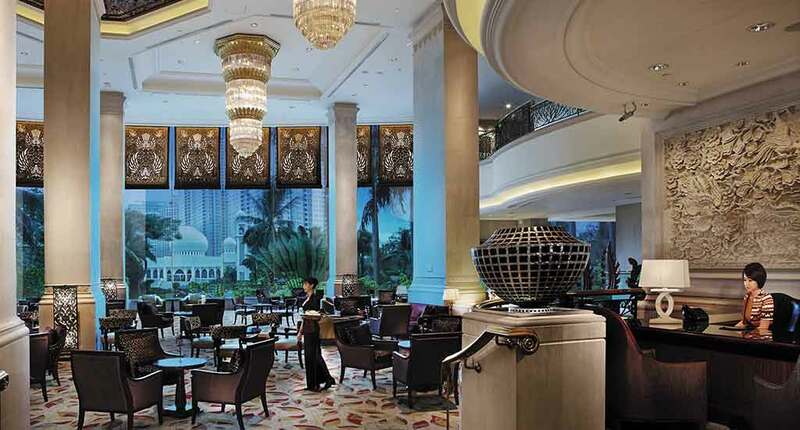 In terms of accommodation, the Shangri-La Jakarta Hotel took care to provide a wide variety of rooms and suites. These are a combination made between the elegance and chic style. 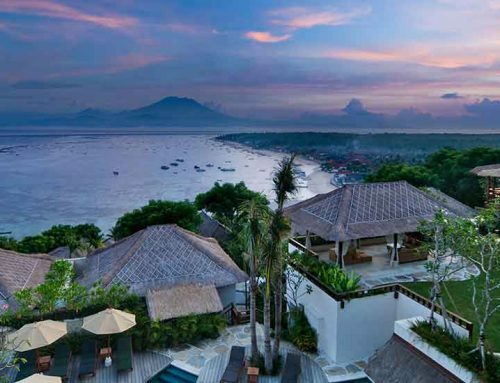 If you choose the Deluxe Room, prepare for stunning panoramic views. In case you want something different, there are five types of suites that will enchant you with the impressive views over Jakarta. The Executive Suite is one of them and is appreciated for its refined design and large space. Another spacious suite is the One-Bedroom Suite. This luxurious room will give the impression of a home atmosphere. 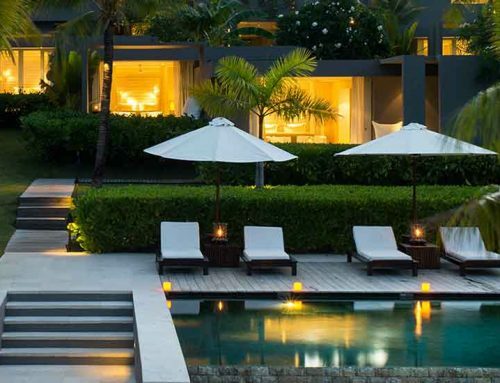 Two and Three Bay Suites are characterized as having a specific elegance for sophisticated tourists. The most stunning room is the Presidential Suite. The hotel entitled it as “The crème de la crème of luxurious living”. 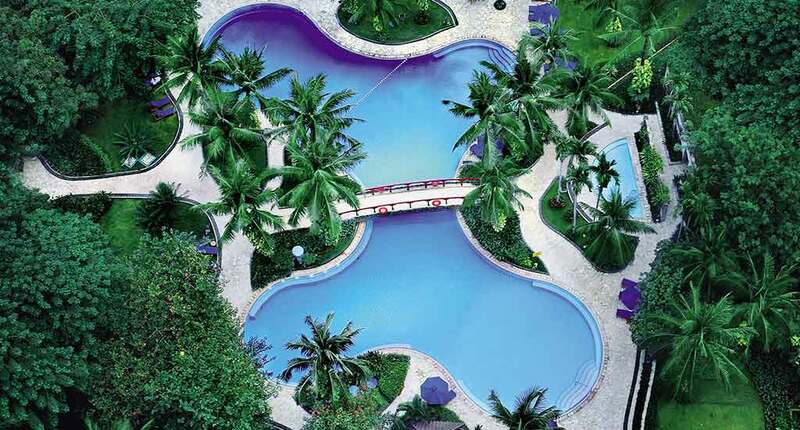 This is one of the largest and luxurious accommodations in Jakarta. 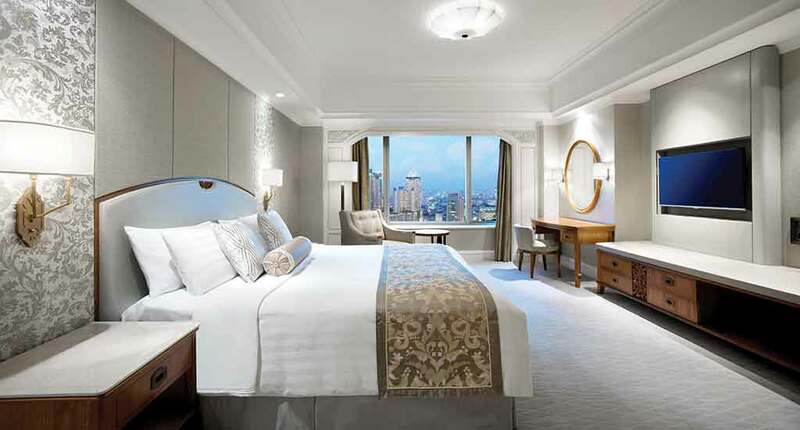 Being located at the highest floor of the building, it is the hotel’s most renowned room. In terms of recreation, the hotel provides eight facilities. 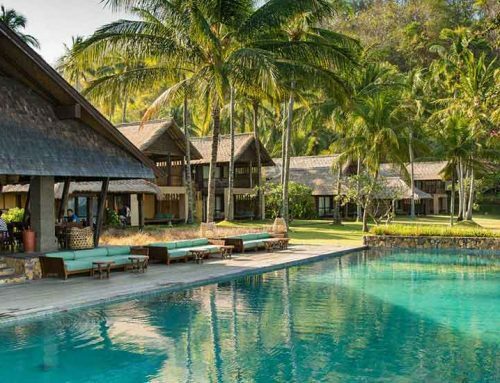 These are: an aerobic and dance studio, an aromatherapy, a children’s pool, a fitness center, a jacuzzi, a sauna, a steam room and a tennis court. 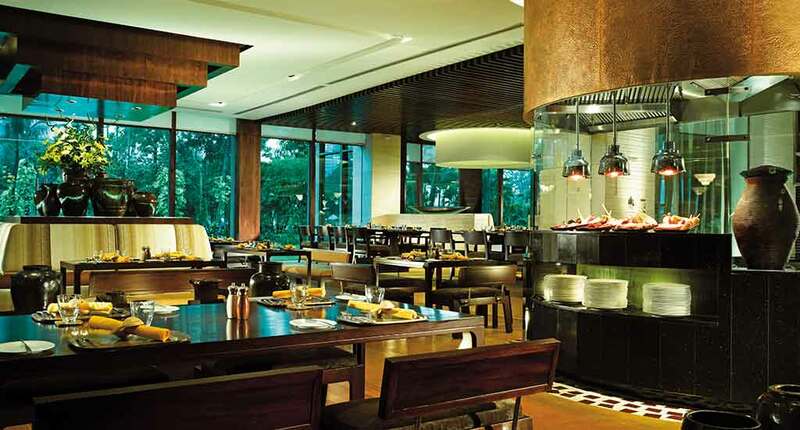 In terms of alimentation, the hotel provides five restaurants. In case you want to discover the Italian cuisine, the Rosso Restaurant will satisfy your requirements. Pasta, pizza and, of course, the world-class wines will make your experience be special. During the time, this one became the most popular restaurant in the hotel among travelers. For a traditional Chinese cuisine, we recommend the JIA Restaurant. Each dish is an art. 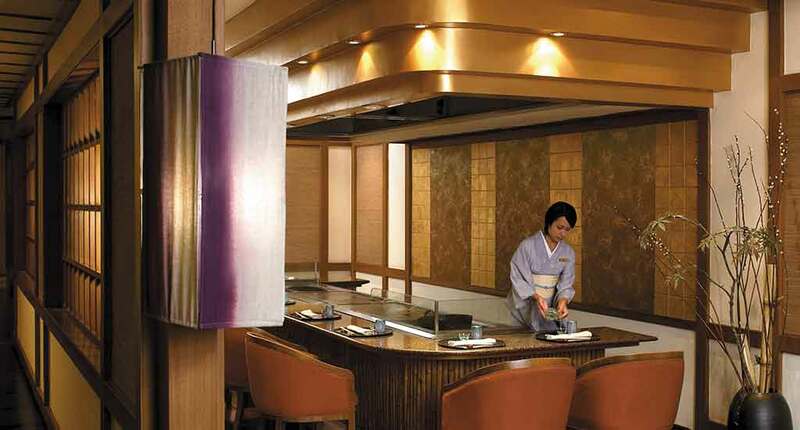 For Japanese cuisine, you should choose the Nishimura Restaurant. The dishes are arranged by an experienced chef and are prepared according to the Japanese methods. What about Asian cuisine? This aspect couldn’t be left behind. The traditional food is being served at SATOO Restaurant, located at the 1st floor. The dress code is: smart casual. For more interactive atmosphere, we recommend you three bars and lounges. One of them is B.A.T.S which is designed in the style of a New York’s underground bar. A perfect place for business meetings is the Lobby Lounge and for your chilled-out time is the Pool Bar. The luxurious Shangri-La Jakarta located in the business district of Jakarta is a great place for those who want to combine the comfort and the leisure. Try all the specific restaurants and cuisines provided by the hotel, discover the New York’s underground in Jakarta, relax at swimming pool, admire the panoramic views over the city and do not miss to explore the surroundings. Address: Kota BNI, Jalan Jendral Sudirman Kav 1, Jakarta Pusat, Jakarta 10220, Indonesia.